This Pear Shaped Bypass Ring has a monster 14x10mm stone that is angled between textured bands. I could use other sizes and shapes and also remove the texture and add accents as well. 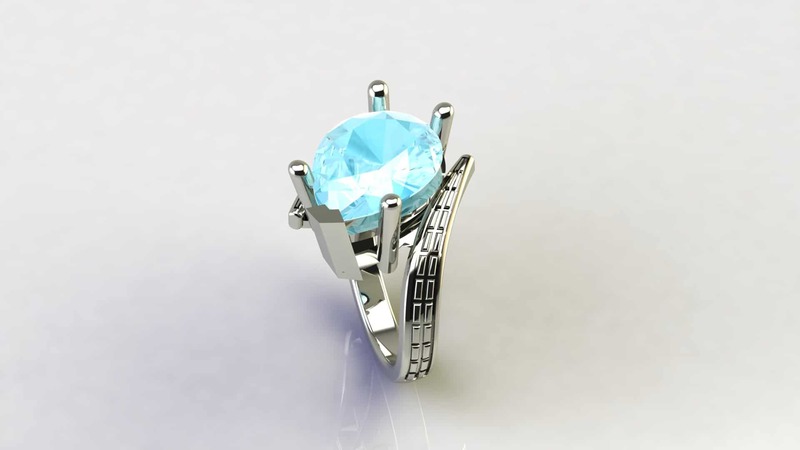 We can create anything you want, so if you want a bypass ring, but this isn’t your style, contact us with your idea. If you have an idea for a ring you can’t find anywhere else, send it over to me and let’s see what we can do about it! Click HERE to see another bypass ring style. 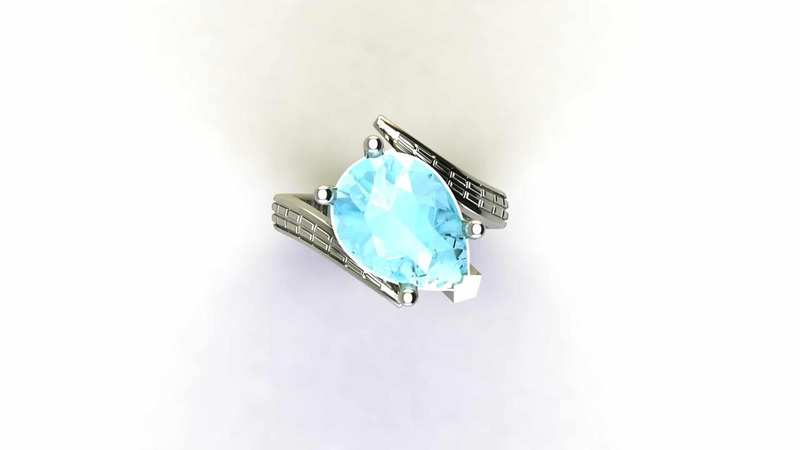 Click HERE to learn more about custom jewelry, to see our portfolio, or to contact us about a Pear Shaped Bypass Ring. It can cost less than you think to have your very own custom engagement ring made just for you. Why hassle with the retail stores for boring and overpriced engagement rings?